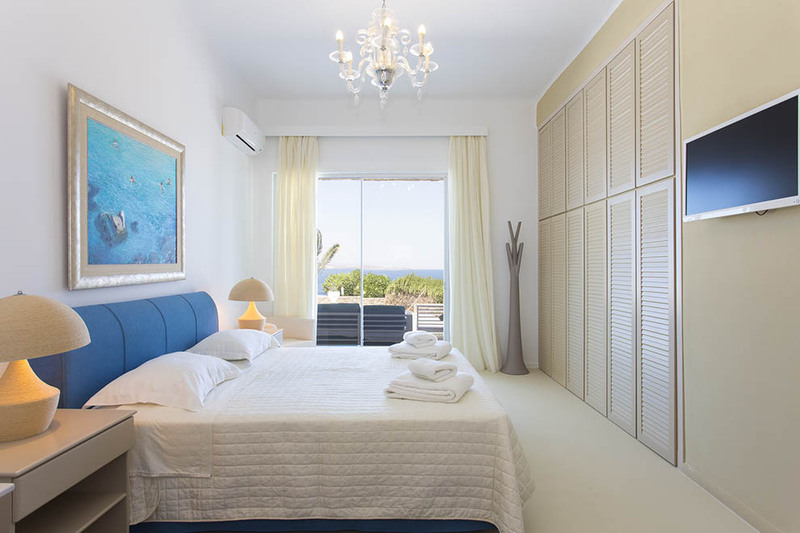 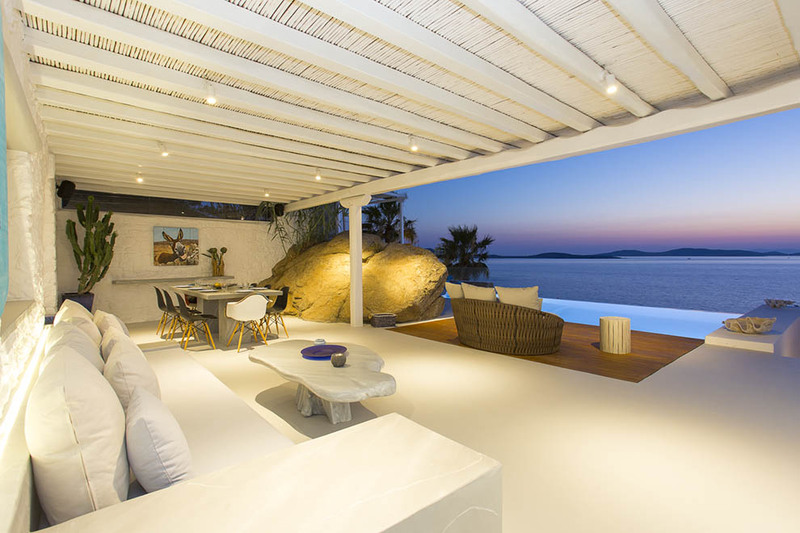 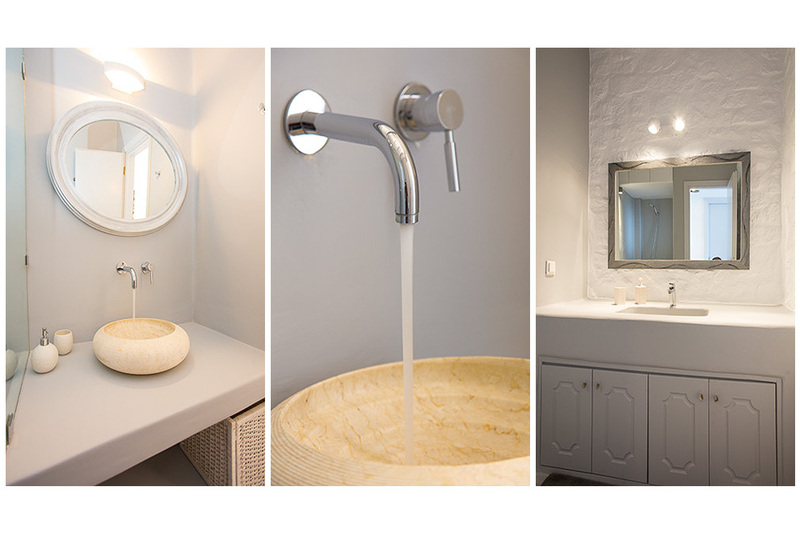 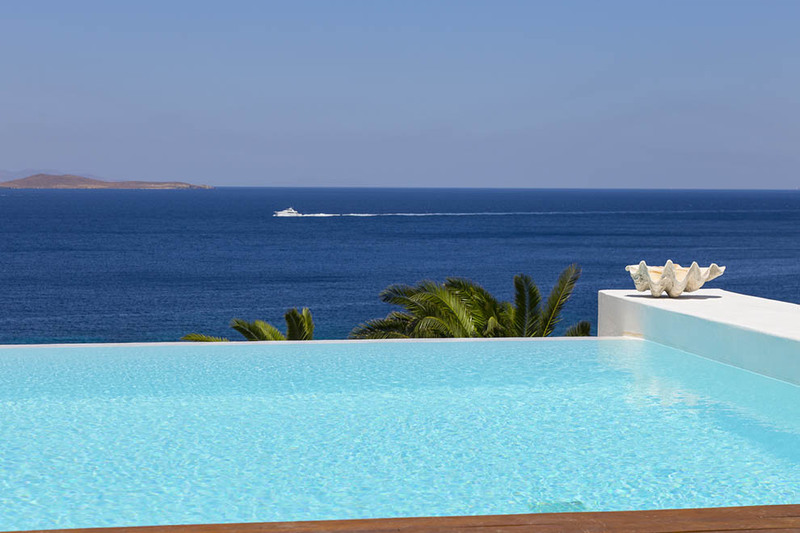 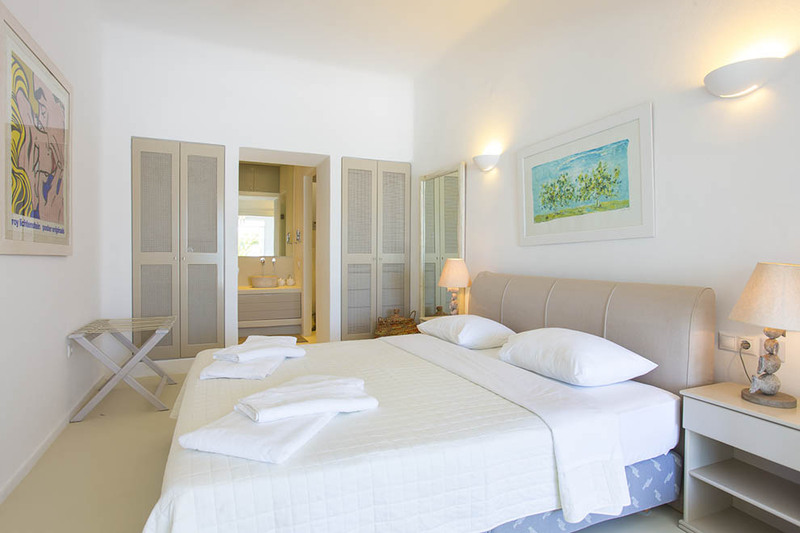 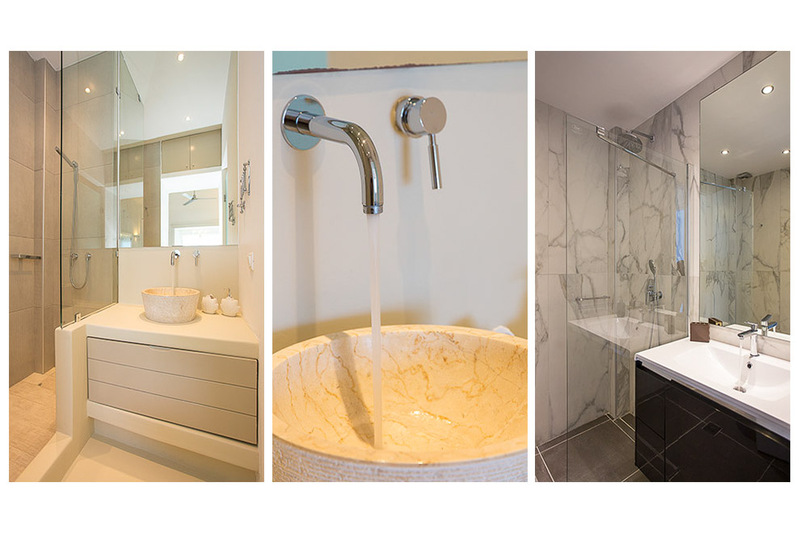 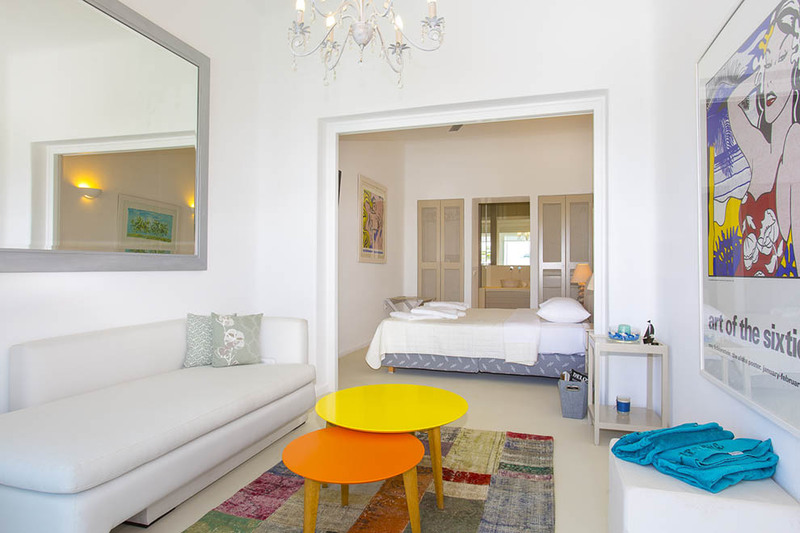 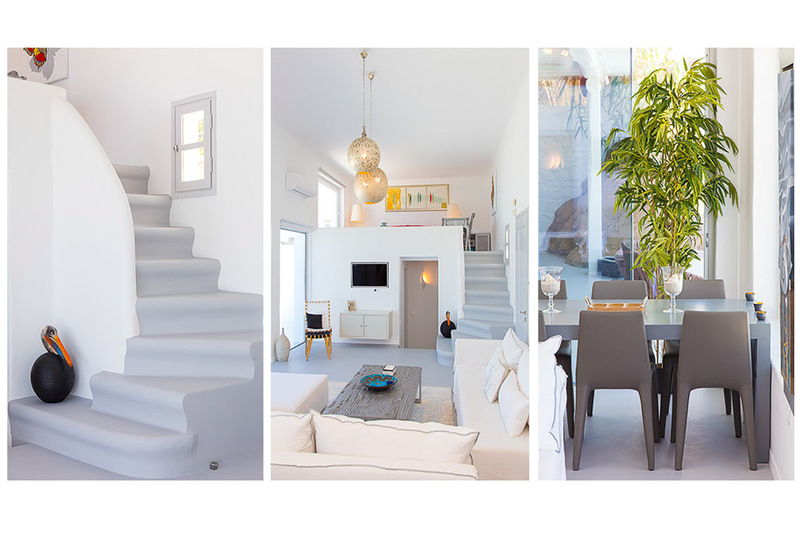 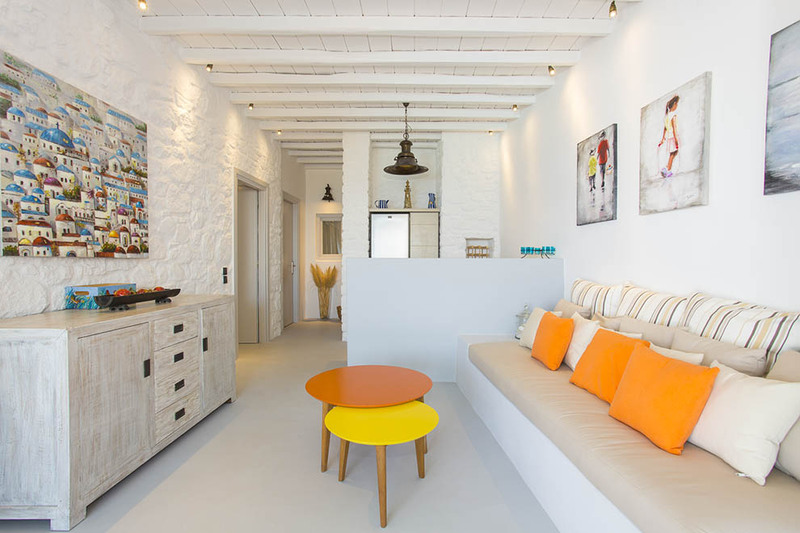 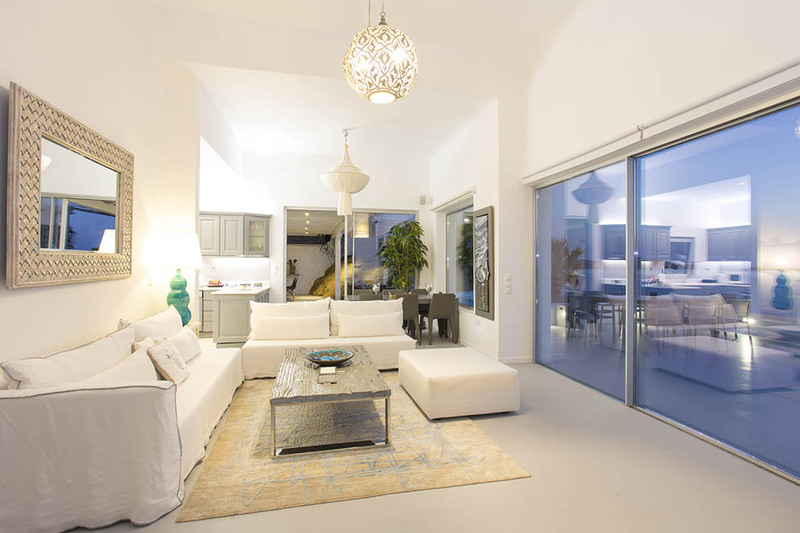 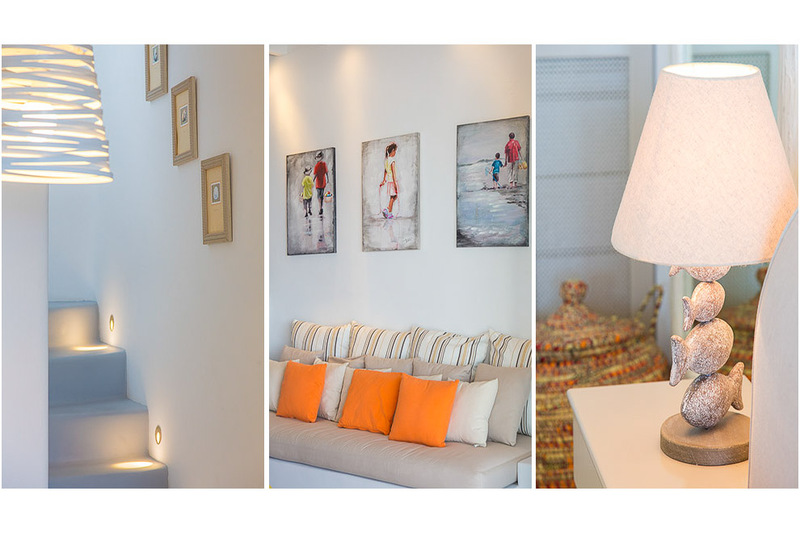 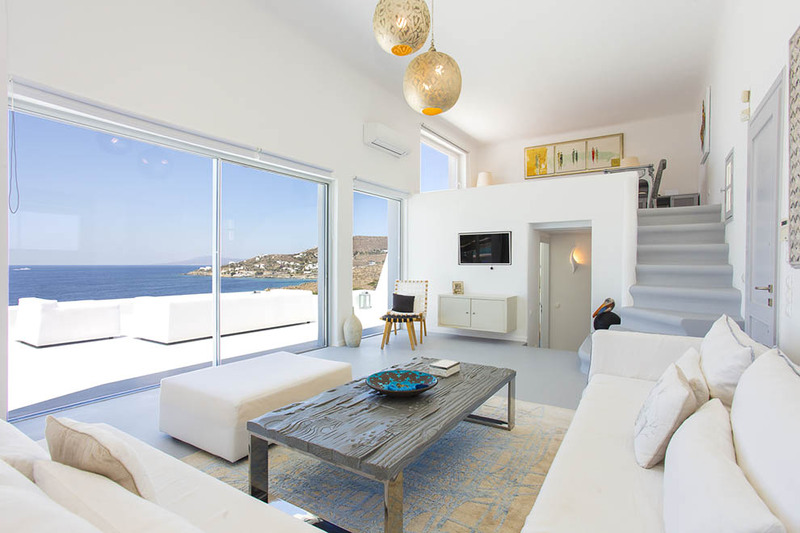 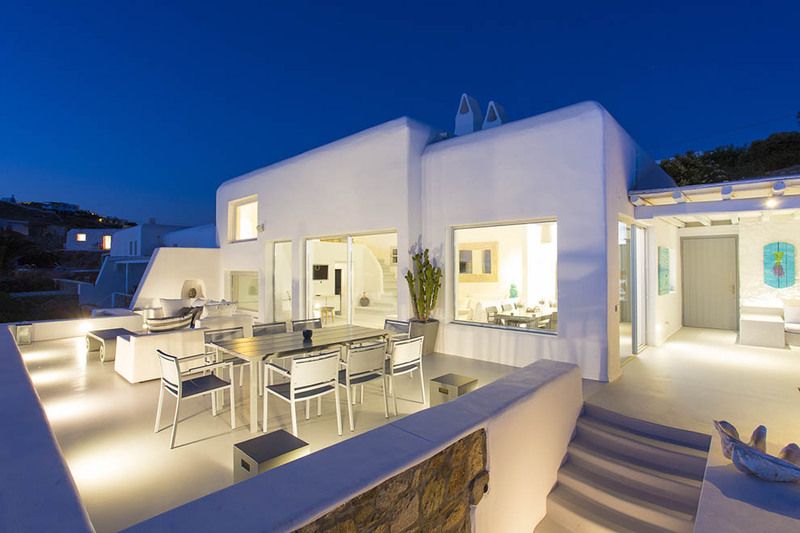 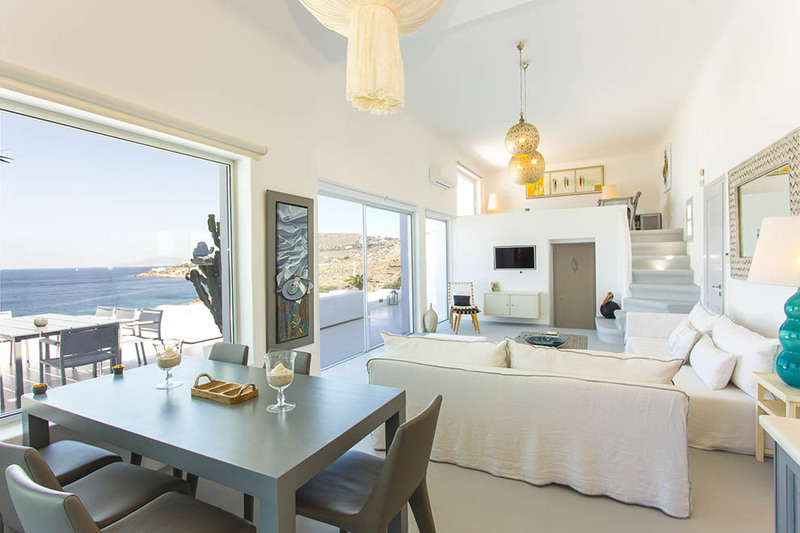 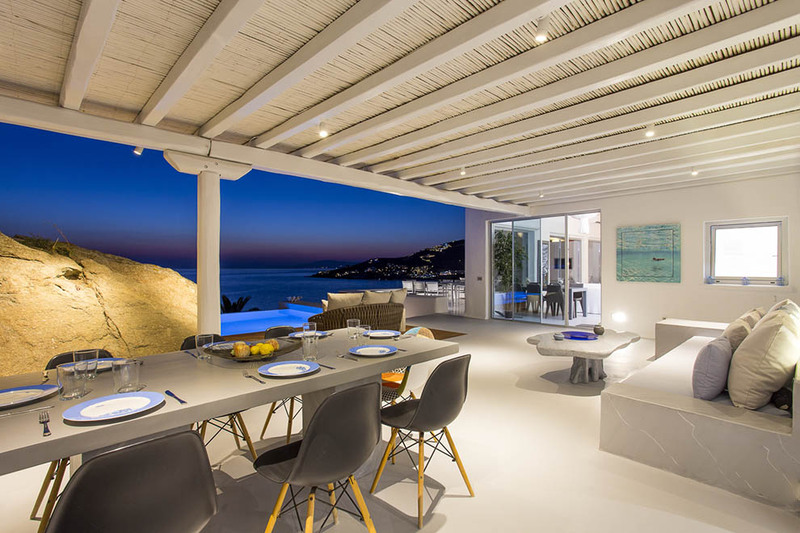 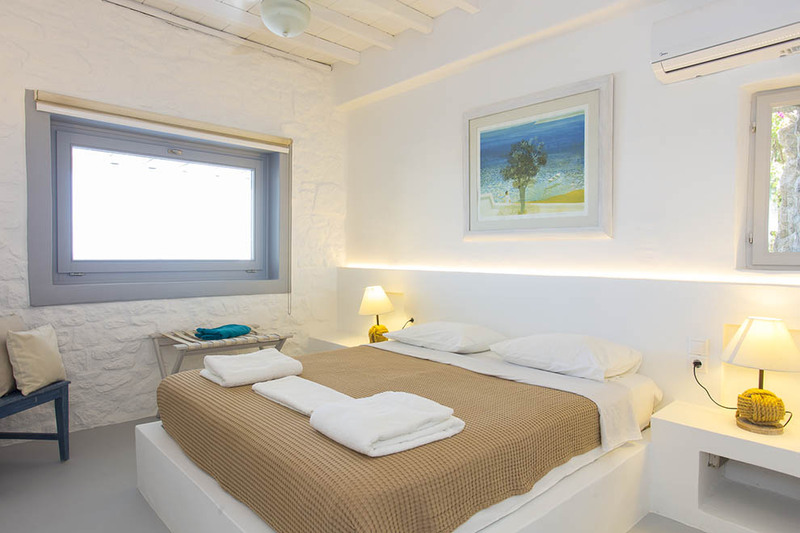 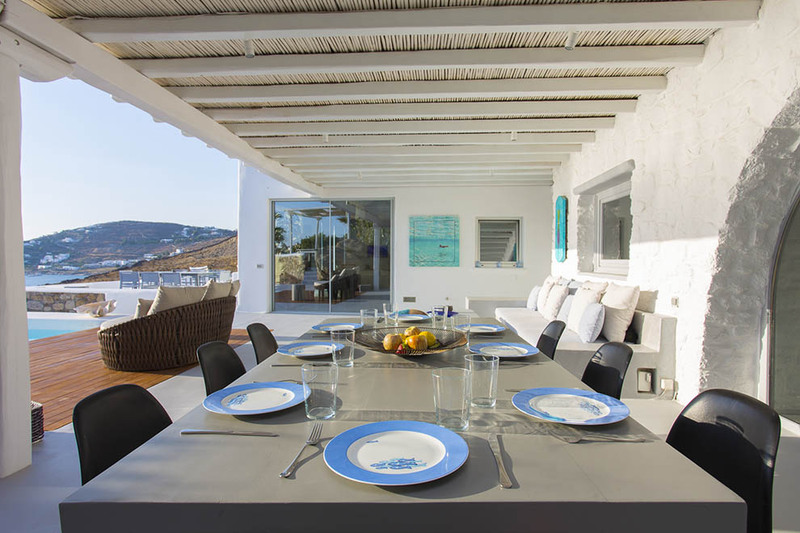 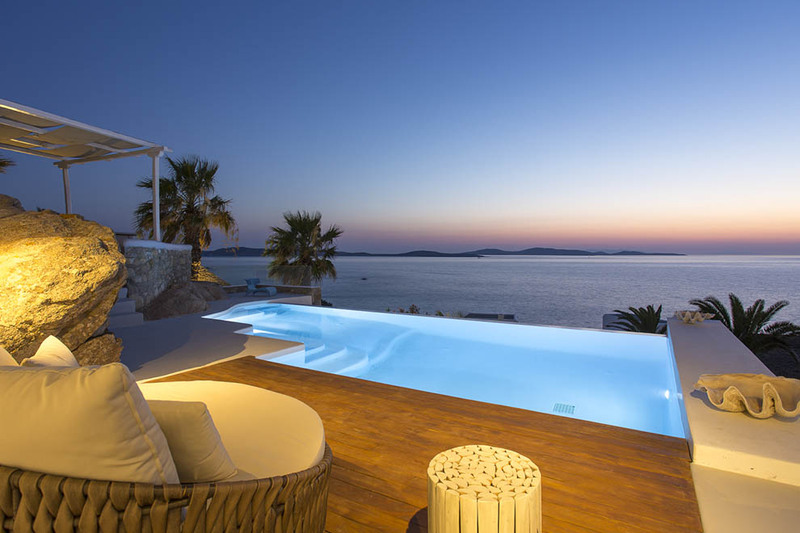 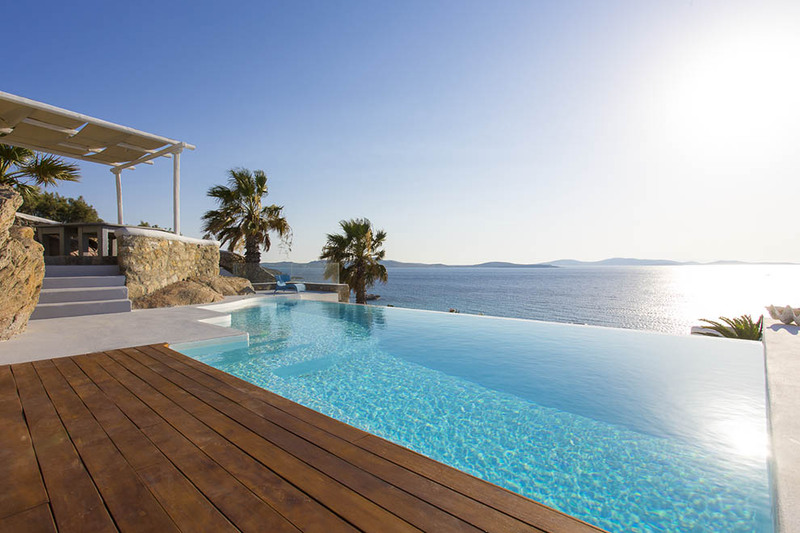 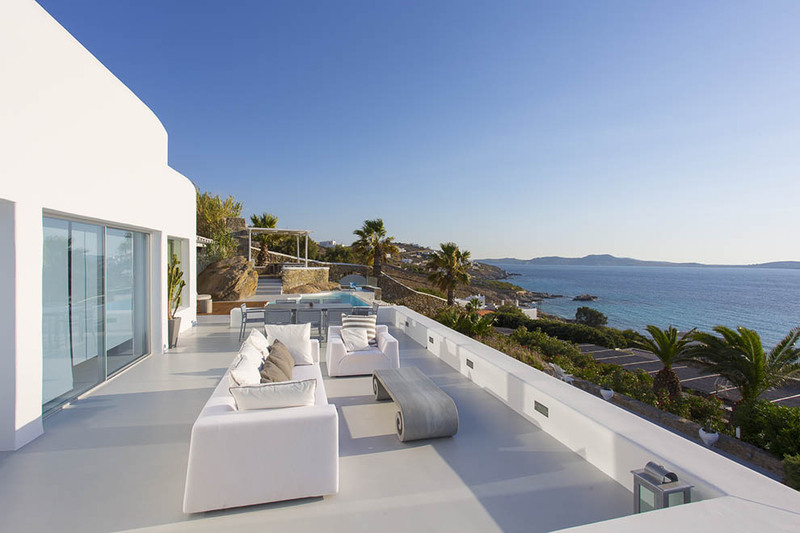 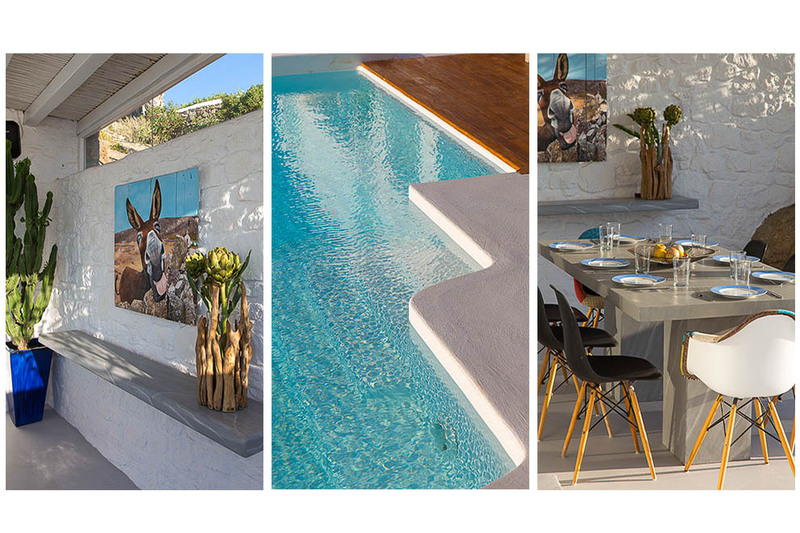 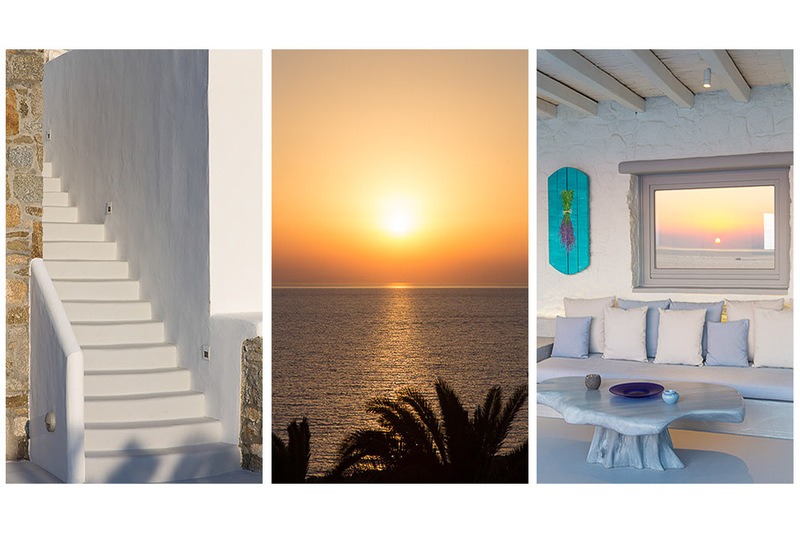 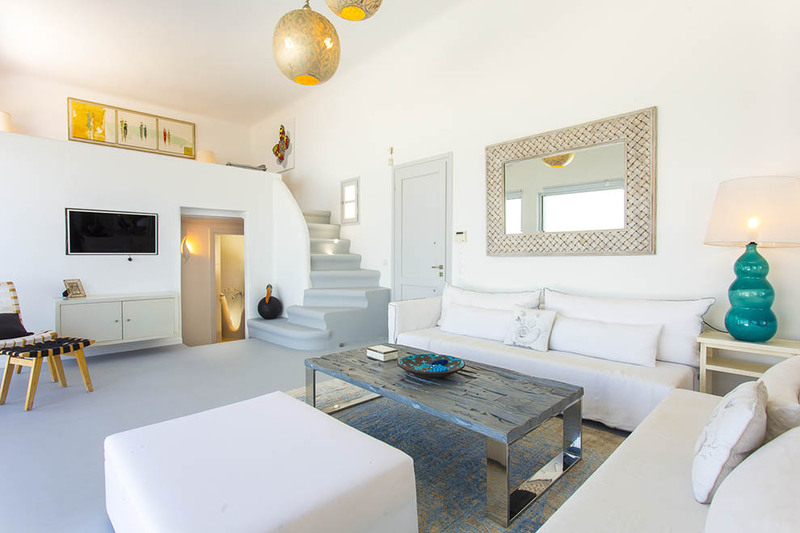 In the divine area of St. John, in a small and luxurious complex lies the radiant “Breeze” Mykonos villa. 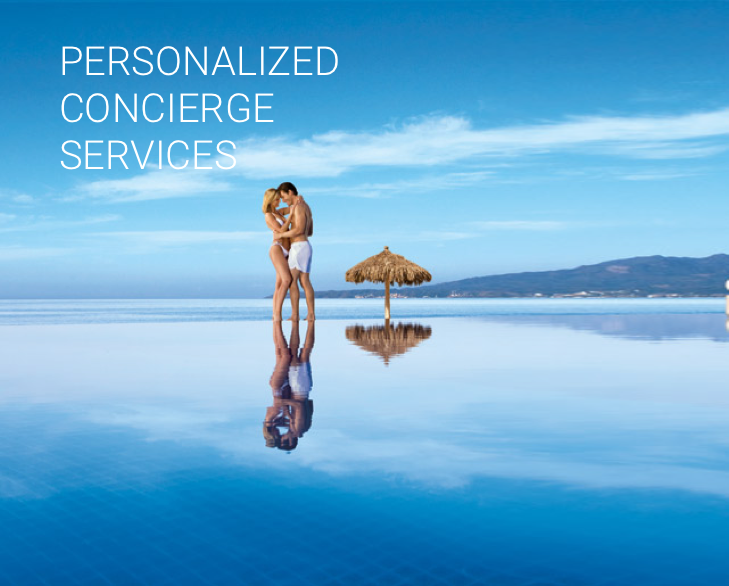 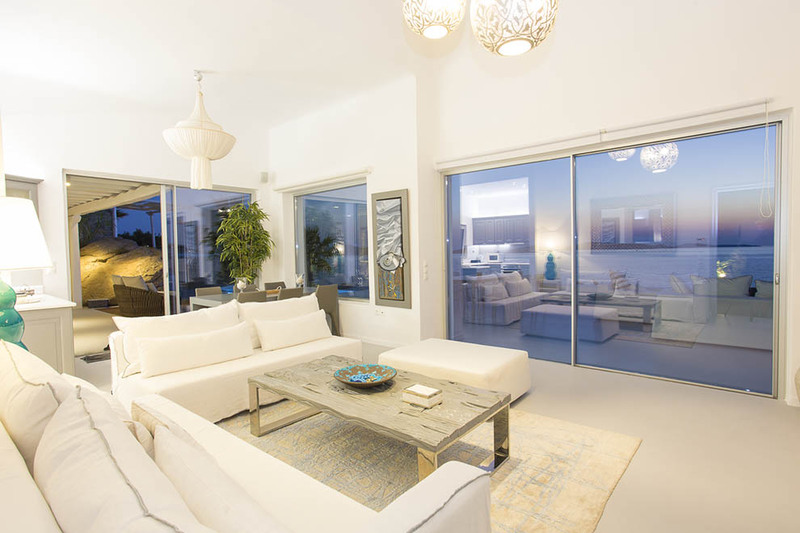 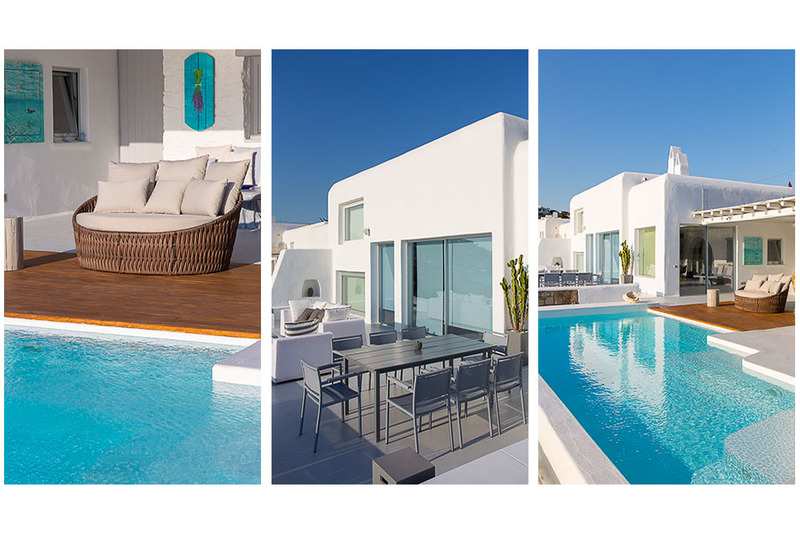 It is located at a privileged location, built right next to the sea and enjoys instant access to a serene private beach. 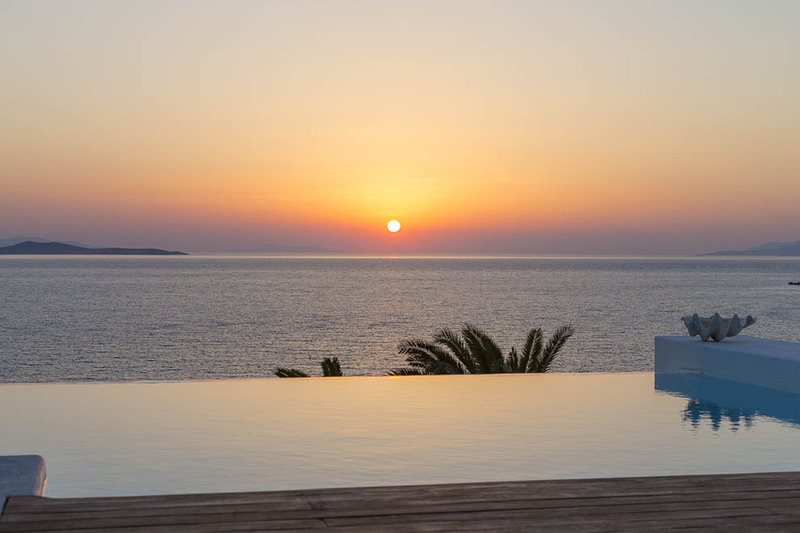 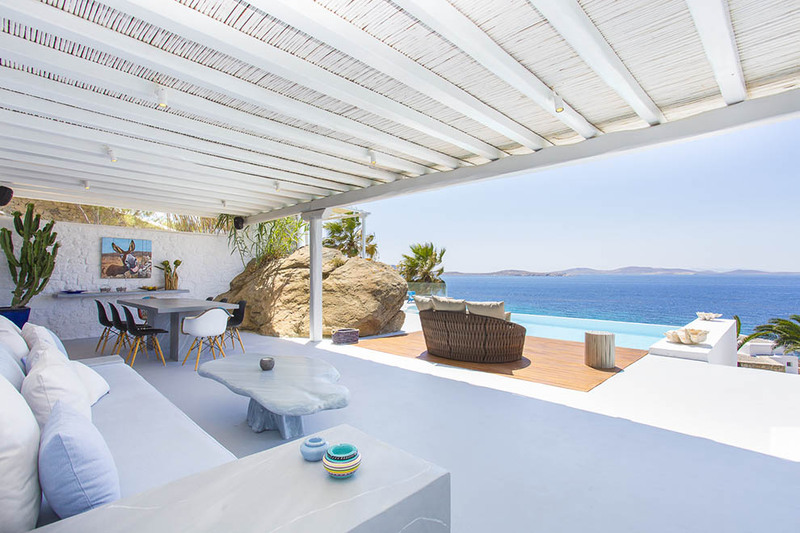 Villa “Breeze” offers spectacular view to the endless blue of the Aegean and to the ancient island of Delos with its enchanting sunsets. 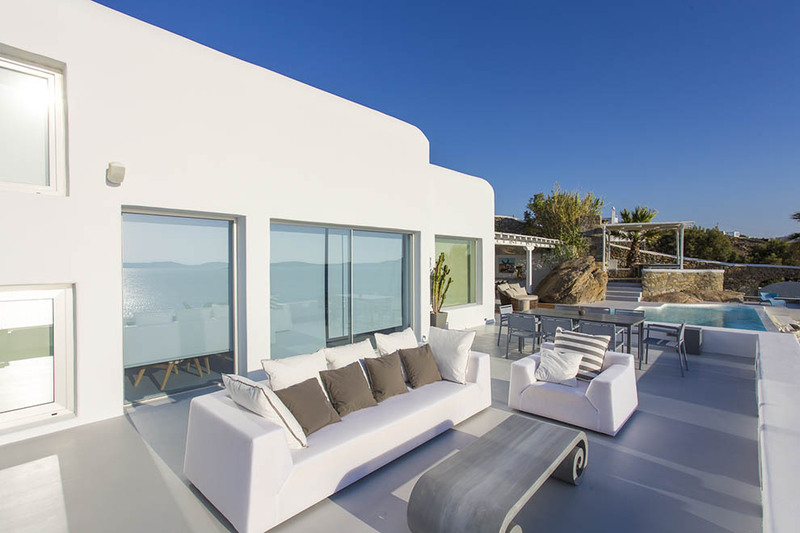 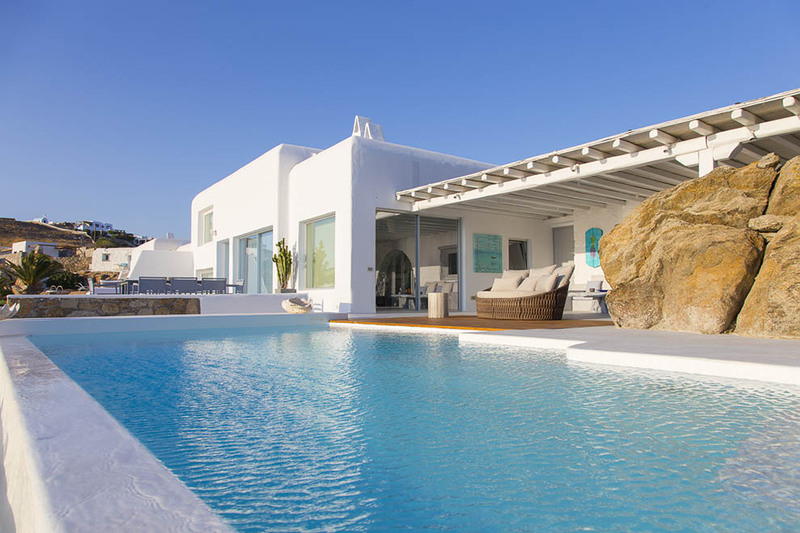 “Breeze” Mykonos villa is an autonomous and sensational retreat, allowing the utmost comfort and independence to its guests. 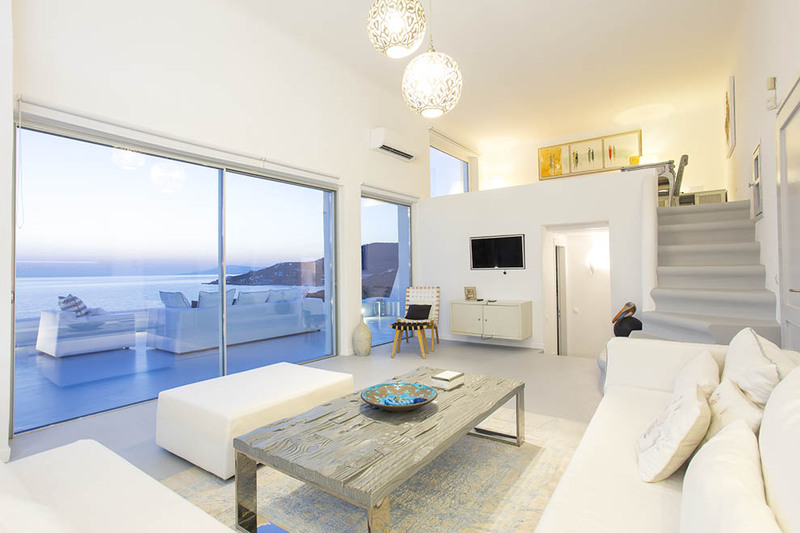 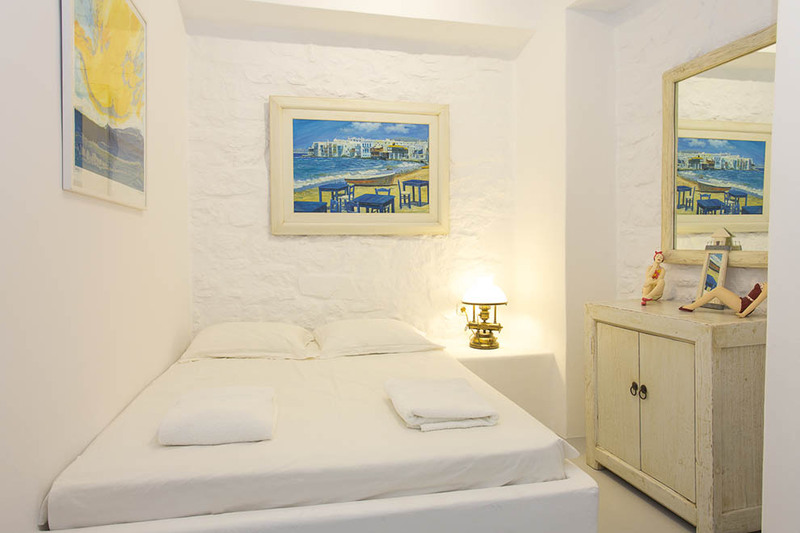 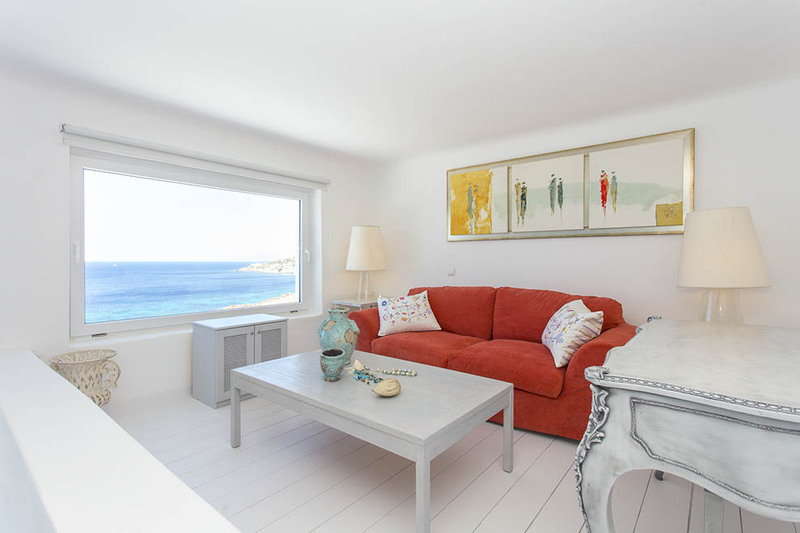 It is recommended for groups that look for tranquility in a peaceful scenery, value the comfort and freedom a private beach offers and at the same time desire a proximate distance to the famous picturesque narrow alleys and the intense nightlife of Mykonos Town.